The Delaware River basin: Officials say proposed new rules would strengthen protections against contamination from fracking waste water brought into the basin. The Delaware River Basin Commission on Thursday proposed a ban on fracking for natural gas in the basin. The interstate regulator said it had determined that high-volume hydraulic fracturing “poses significant, immediate and long-term risks” to the waters of the basin, including so-called Special Protection waters that have a high ecological, recreational or scenic value. “High volume hydraulic fracturing in hydrocarbon bearing rock formations is prohibited within the Delaware River Basin,” it said. The ban would cover both the Marcellus and Utica Shales. But in a section that dismayed environmentalists, the draft regulations also say DRBC would allow the export of water for fracking from the basin if certain permit conditions are met – even though the practice is “discouraged.” And it says that “produced water” such as that from fracking operations would be permitted in the basin if it goes through a water treatment plant. The regulation marks a milestone in a battle over whether to allow the natural gas industry to exploit the basin’s shale gas reserves, as it has in all but two Pennsylvania counties – Pike and Wayne – that adjoin the Delaware River. 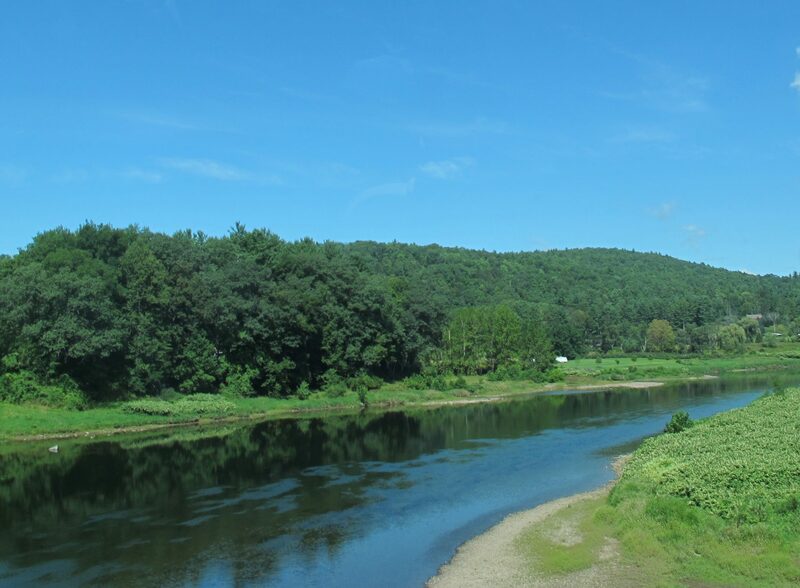 “This is a huge and groundbreaking protection for the Delaware River watershed,” said Tracy Carluccio, deputy director of the Delaware Riverkeeper Network, which has campaigned for years for a permanent ban on fracking. But she attacked the DRBC’s proposal to potentially allow exportation of water for external fracking operations, and the importation of waste water from those operations, as “illogical” given the ban on fracking itself. Jeff Tittel, director of the New Jersey Sierra Club, called the rule a “good first step” in protecting the basin, but said the fracking ban could be damaged by the proposals on the import and export of water. “Banning fracking but then allowing the dumping of fracking waste undoes the whole purpose of the ban in the first place, which is to protect our water,” he said in a statement. Critics say the industry has contaminated ground and surface water with fracking chemicals and spills at its operations elsewhere in Pennsylvania since the shale boom began a decade ago. They worried the same could occur in the Delaware River basin, which supplies drinking water to some 15 million people in Pennsylvania, New York, New Jersey and Delaware. Industry groups such as the Marcellus Shale Coalition say water is protected from any fracking contamination by multiple layers of steel and concrete at well sites, and that banning fracking in any part of the Marcellus Shale – which extends into the Delaware basin – would sacrifice the economic benefits of development. In September, DRBC said it would draft new regulations that included a ban on natural gas development involving hydraulic fracturing and horizontal drilling, and would put the regulations out for public comment by the end of November. The commission will hold public hearings on the draft regulations on Jan. 23 and 25.